New methods in manufacturing super-substance graphene have led to bendy, transparent electronics becoming closer to reality. Reports in the journal Nature have proved the possibility of centimetre-thin samples of the material, meaning the technology to fabricate graphene is slowly improving to the point when it can be used on a mass scale, says the BBC. The material, which is essentially a rolled-out version of the super-conductive and strong carbon nanotube, can be bent or twisted without damage. As it is only one atom thick, it also makes it virtually invisible, meaning that transparent electronics like OLEDs or solar cells could be made to shape around columns or on the outside of buildings, providing entertainment or power. One of the main problems holding back flexible OLED displays is finding the right backplane full of transistors that can work at high switching speeds while not breaking under flex. Graphene's fast switching speeds make it perfect for such, and far better than the incumbent organic transistors. 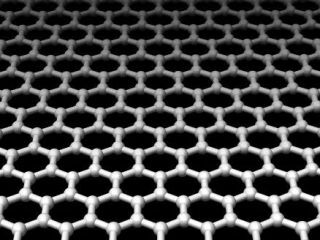 According to the BBC, three groups have managed to show the larger scale graphene production, sparking researchers into hailing the news as an 'important development'. "Until now, everyone has been using our so-called 'pencil technique' (lifting layers of graphene off carbon using a sticky tape) but the disadvantage is that the graphite crystals are quite small - it's really painstaking research," said Professor Andre Geim of the University of Manchester to the BBC. "This technique shows the missing element for the whole story, from finding graphene to making real transistors because it shows that industrial scale production is possible."